The debate post The Duke of Edinburgh's crash has had many asking, at what age is too old to drive? Personally, I really admire that the Duke still drives at the age of 97, whether it's horse power or a Range Rover, the freedom and independence is great. I certainly hope I get to keep driving and doing the things I love at 97 too! However, if I'm not fit enough to drive, I'm safe in the knowledge that the future of mobility will help me keep the independence I crave. One of the key benefits of autonomous vehicles is the ability to transport people around who are no longer capable of driving. Also, in the future, autonomous vehicles could help prevent incidents like the one the Duke was in altogether as the car will be able to take over at the hint of an imminent incident. It's happening already in fact, plenty examples from Tesla and others. This video compilation here of a Tesla braking as the radar sees the accident ahead before the driver does. Quite simply, autonomous vehicles will make the roads safer for us all and enable the freedom for us regardless of our age. In the future, I bet we wont even be asking this question. 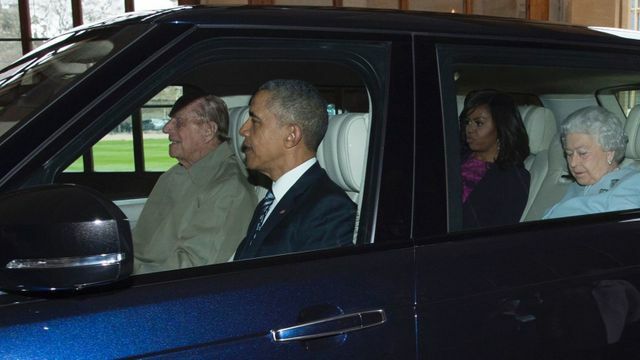 Mr Obama was complimentary about the duke's driving skills, and said at the time: "I have to say I have never been driven by a Duke of Edinburgh before and I can report that it was very smooth riding." But three years on, questions are now being raised as to whether Prince Philip should still be driving at the age of 97 after he was involved in a car crash while behind the wheel near the Sandringham Estate. I mean Tesla bounces radar under the vehicle in front of it, and can tell what the vehicle in front of /that/ is doing. Its how it's crash avoidance acts quicker than most, because it can see the car two cars ahead coming to a sudden stop.vits wild.